As governments, patients, and healthcare regulatory bodies demand greater care delivery, healthcare providers are set for a tough battle. In this scenario, monitoring of patients, care team, and hospital equipment becomes indispensable for the providers. With the goal to deliver solutions that make people’s lives better, Cadi Scientific helps healthcare providers enhance their day-to-day care operations. Built on the competence of Real- Time Location Services (RTLS) and Radio-Frequency Identification (RFID), Cadi’s SmartSense solutions improves the operational efficiency of hospitals by optimizing asset utilization and reducing costs, patient waiting time, and bed turnover time. Besides offering solutions to take healthcare efficiency to the next level, SmartSense also equips hospitals with several neoteric abilities to accurately match infants with their mothers, trace staff-patient contacts, and to improve staff hand wash behavior. “Our RTLS-enabled patented tag-to-tag technology not only tracks locations but also accurately traces the interactions and activities of personnel, including staff, visitors, and patients coming into contact with each other,” remarks Mr. Ng Hon Cheong, Director & CTO of Cadi Scientific. Addressing the predicaments of traditional healthcare management processes, SmartSense solutions automate real-time information update to improve emergency preparedness of the healthcare providers. 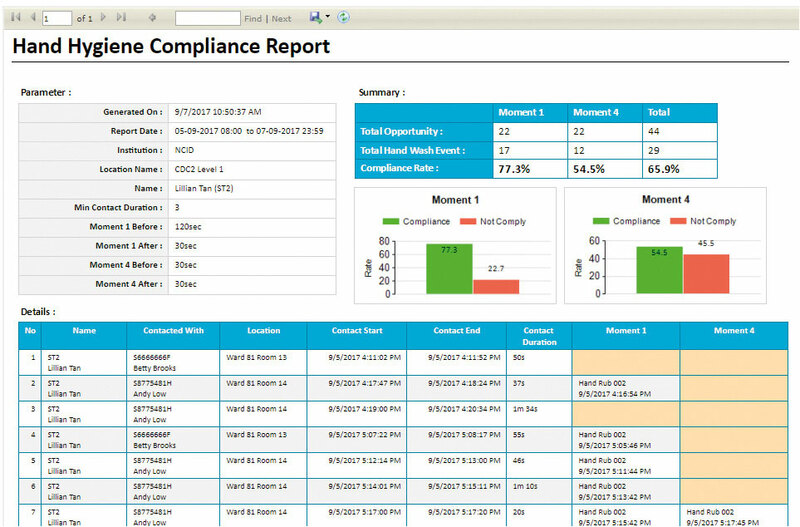 Unlike the error-prone, conventional manual processes of updating patients’ bed status information, periodic verification of scribbled information for preventive maintenance, and making phone calls for equipment management, Cadi’s solution helps hospitals increase productivity, and optimize utilization rates of available resource. Supported by RFID, the patient location tracking solution helps hospitals manage patient flow processes from admission to discharge. 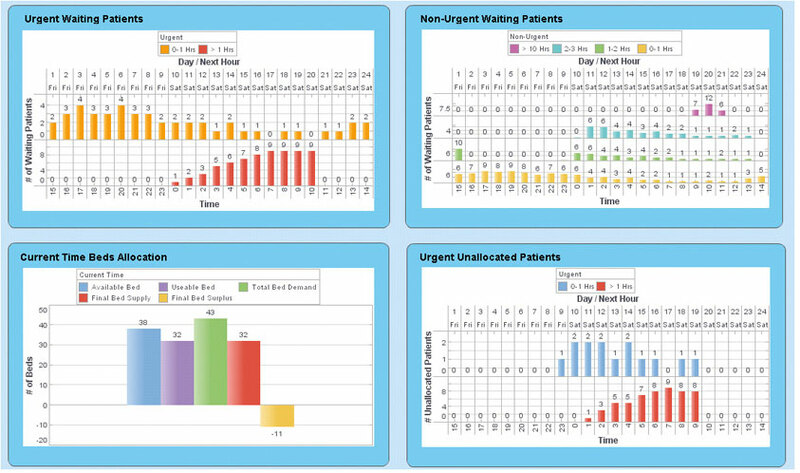 It updates the staff with the patient’s bed status information, and sends operational triggers to various departments concerned with the patients with minimum human intervention. The tag-to-tag technology also reduces the workload of nurses and minimizes the possibility of infant abduction and mix-ups. By matching the tag on the mother, baby, and the cot, care teams can make accurate decisions. Ng points out that currently Cadi is deploying the new generation of Cadi’s Wi-Fi-based SmartSense RTLS for the 1400-bedded Sengkang Health Campus (SKH). The technology aims to cover both in-patient and out-patient areas to facilitate an end-to-end patient journey with real-time location tracking, staff-patient contact tracing, asset utilization monitoring, and process workflow automation. It brings together Cadi’s patented tag-to-tag technology, multi-directional infra-red, active low frequency, passive RFID, and riding hospital’s Wi-Fi infrastructure under one roof, designed to meet the operational needs of all the user groups at SKH. Numerous studies have shown increased hand hygiene compliance in clinical areas has a remarkable effect on reducing nosocomial infection rates. With this objective in mind, Cadi is rolling out its new SmartSense hand hygiene monitoring system that comes with a new range of staff tags that are able to timely remind staff about sanitizing their hands before and after touching patients. 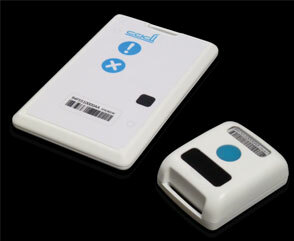 This system aims to continuously monitor and remind staff to ensure full hand hygiene compliance at all times. In addition to Cadi’s range of innovative products, Cadi has also integrated into SmartSense system, the world’s first FDA-cleared body-worn, patient monitoring system for continuous monitoring of ECG, heart/pulse rate, SpO2, respiration rate, skin temperature, continuous NIBP, posture, and motion without an oscillometric cuff, from Sotera Wireless Inc. from San Diego, California. 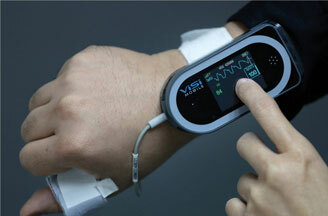 This revolutionary wearable device, while helping to offload nurses’ from manual vitals taking, continuously monitor patients’ vital signs to enhance patient safety throughout their stay in the hospitals. Singapore’s National Centre for Infectious Diseases (NCID) will deploy these two systems, when the centre starts operation in a few months’ time. 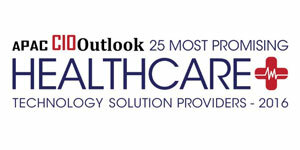 “All Cadi products and solutions go through rigorous requirement gathering with real users and are specially designed to address the needs of the healthcare industry to solve their operational problems. We want to ensure that we deliver solutions that really help make people’s lives better,” concludes Ng.